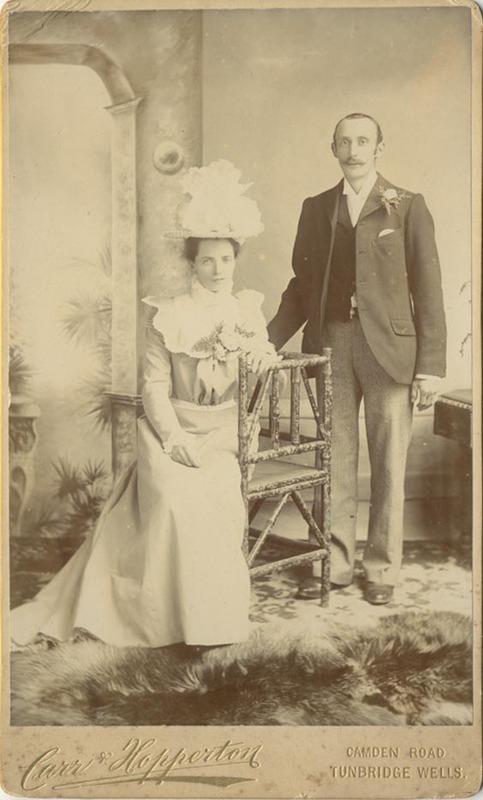 [ABOVE] A studio portrait of a couple, photographed at the Tunbridge Wells studio of Carr & Hopperton. 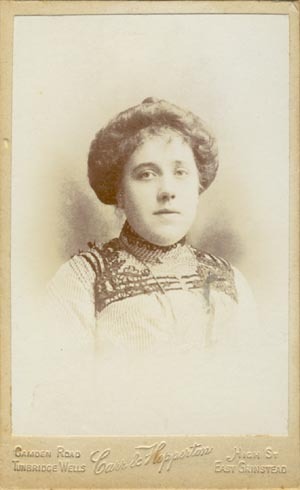 This photograph can be dated to circa 1900 as Edward Carr and Herbert J. Hopperton opened a branch studio in East Grinstead around 1901. 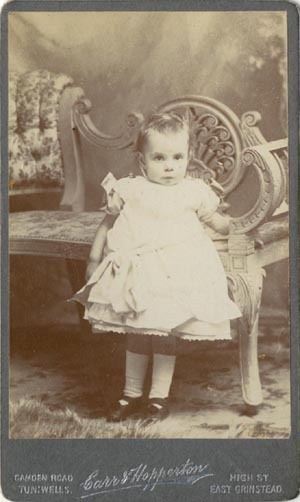 [ABOVE] A cabinet portrait of a young girl, photographed by the firm of Carr & Hopperton. The details of both studio branches - Camden Road, Tunbridge Wells and High Street, East Grinstead - are printed on the grey card mount. 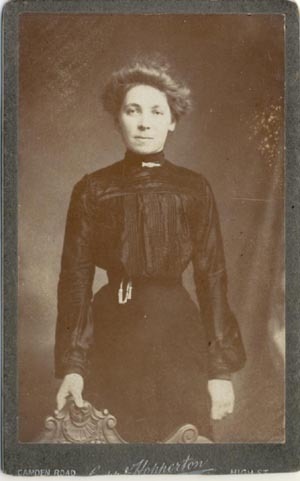 Inscribed on the back of the mount is the date "Nov. 4th, 1901"
[ABOVE] A carte-de-visite portrait of a woman in a dark blouse, photographed by the firm of Carr & Hopperton. The details of both studio branches - Camden Road, Tunbridge Wells and High Street, East Grinstead - are printed on the grey card mount. 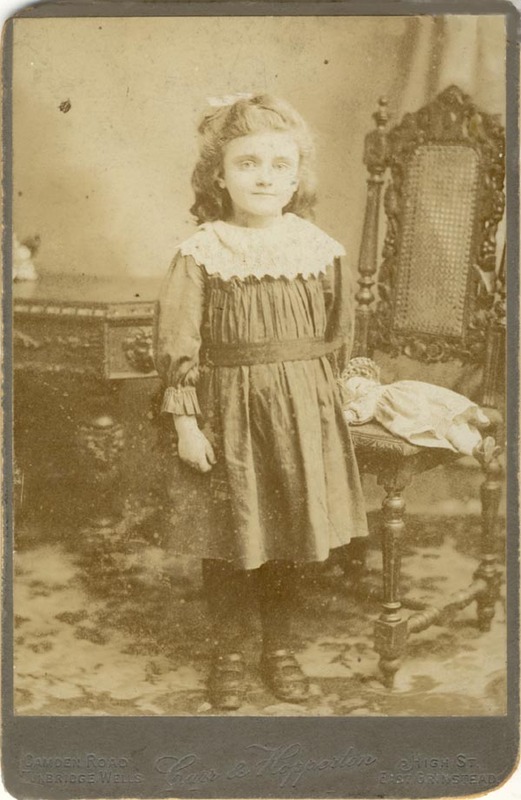 [ABOVE] A carte-de-visite portrait of a young girl, photographed by the firm of Carr & Hopperton. The details of both studio branches - Camden Road, Tunbridge Wells and High Street, East Grinstead - are printed on the grey card mount. Negative No.6319. 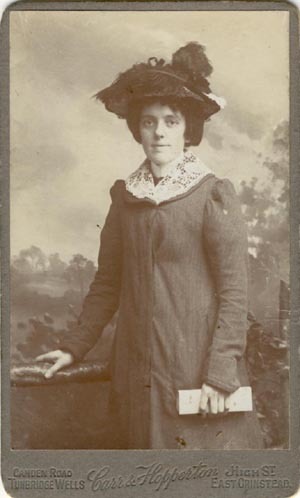 [ABOVE] A carte-de-visite portrait of a woman wearing an outdoor coat and fancy hat. by the firm of Carr & Hopperton. The details of both studio branches - Camden Road, Tunbridge Wells and High Street, East Grinstead - are printed on the grey card mount. Negative No.4914. 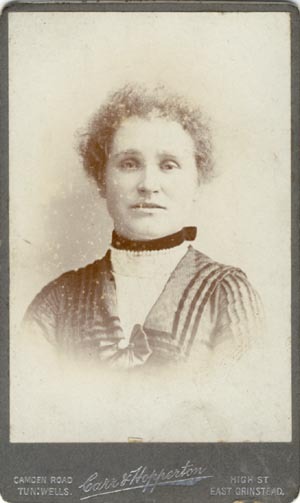 [ABOVE] A vignette portrait of a woman ; a carte-de-visite by the firm of Carr & Hopperton. The details of both studio branches - Camden Road, Tunbridge Wells and High Street, East Grinstead - are printed on the light brown card mount. 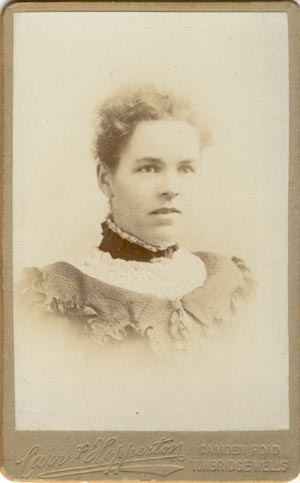 [ABOVE] A vignette portrait of a woman ; a carte-de-visite by the firm of Carr & Hopperton. The details of both studio branches - Camden Road, Tunbridge Wells and High Street, East Grinstead - are printed on the cream card mount. Negative No.3797. 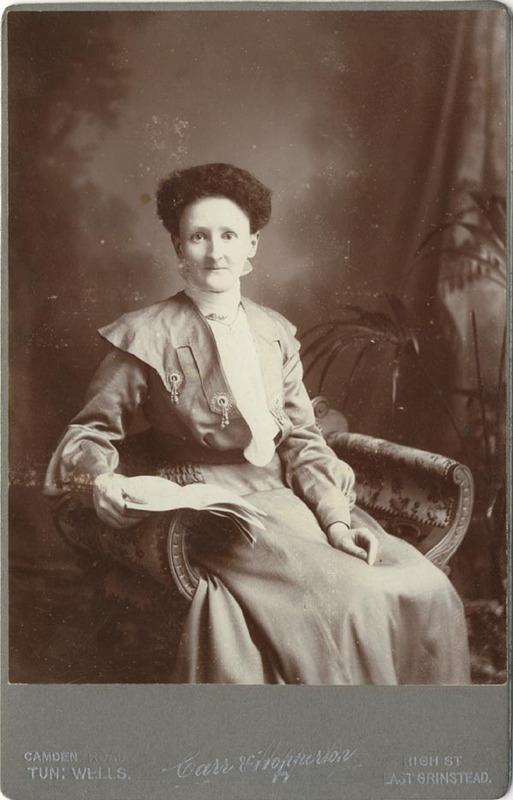 [ABOVE] A vignette portrait of a woman wearing a black neck band; a carte-de-visite by the firm of Carr & Hopperton. The details of both studio branches - Camden Road, Tunbridge Wells and High Street, East Grinstead - are printed on the grey card mount. Negative No.6074.